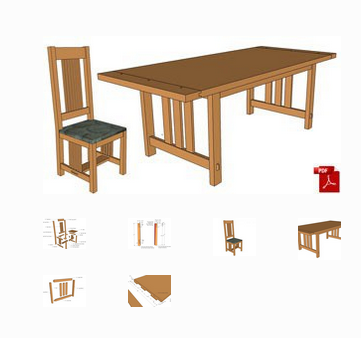 The plans are available as high quality downloadable PDF plans, Sketchup or also as a combo of both versions. Currently Brian’s only offering a few plans, but they’re for some amazingly beautiful projects. Check them out today, or pass along the link to someone you know is looking for some. Visit The Wooden Craftsman at www.thewoodencraftsman.com.